XBee Arduino Coding Kit which is produced by Digi, is an ideal platform for learning. 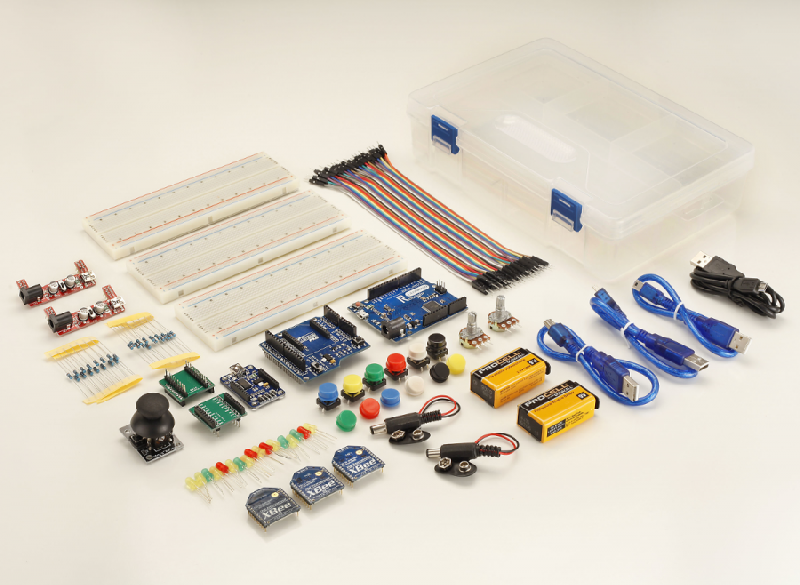 You can use XBee wireless modules and include them in your projects with this kit. The kit includes an Arduino compatible microcontroller board, 3 XBee modules and LED's, wires, adapters, other components for you to use them in sample projects. Also you can learn how to use these components through sample codes. The kit also includes 5 interactive projects written in Processing language. In this way you can learn fastly and easily how to use these smart circuits. No matter what your experince level is, you can easliy catch on the applications in the kit, build prototypes and create demos related to wireless communication by following the instructions in the step by step guide. The guide you can use for this kit.